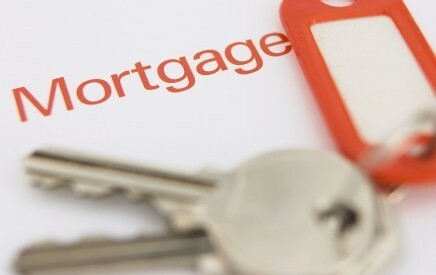 So should you take a variable or fixed rate mortgage? The short answer in most markets, is variable rates, in the long run they have been the cheaper way to go. This in fact has been essentially true for the past 30 years. There is however an underlying reason for this lucky event. The western economies have been in a long-term rate decline for those 30 years, albeit, with the occasional blip. Compounding the variable advantage was the intensive rate competition of 6 years ago when lenders were offering prime minus rates on their variable products.But that was then and this is now. We are today in a rate market place that is offering 5 years rates at 3 percent, which coincidentally is the long term inflation rate. (I say that in historical terms we are currently in a deflationary economic environment) what this means is that any long-term rate in this range will, over time, be a low rate. The current interest rate environment is not sustainable, at some point all of the monetary stimulus that every government in the world is pushing, is going to kick in and then watch out for big rate increases. When is this going to happen? If I knew that I’d be making billions on Wall Street but I can assure that the trillions of dollars being pumped into the world economy are going to hit at some point and when they do the result will be a shockingly fast upward bump in rates. So our advice today is contrary to the advice we’ve been giving for the last 25 years. We now recommend that if you don’t intend to repay your mortgage over the next ten years, then you should lock into a fixed rate term, maybe even a ten-year term which at sub 4% seems like a super bargain to me. Mortgage Kelowna | Why use a Banker? In Canada, 5 federally chartered banks dominate the financial industry. They account for 80% of the mortgage market, the balance being made up of various credit unions, and nonbank lenders like pension funds, life insurance companies, etc. The banks themselves, by Canadian standards, are gigantic entities, the size of, and in many cases larger than, provincial governments. The banks are the second most active lobbyists in Ottawa. I’m telling you this to set some background. The banks are huge and bureaucratic. They have sophisticated systems in place to manage giant fund portfolios and are well run well-regulated players in the financial industry. A Kelowna Mortgage is no different. When you meet with a bank employee you can be confident that they have some basic training in the product you’re after and that you will typically be treated in a fair and professional manner. Lets face it, they are good at what they do, hence the 80% market share. So all is good and there really is no need to talk to an independent mortgage broker then is there? The key to that answer is to understand that the friendly well-trained bank representative sitting across from you is an employee of the bank. Employees work for their employer, not you. Their job is to maximize profit for the bank. Their annual bonus, career advancement and all the rest of being good employees depend upon their performance in creating profit for the bank. They have volume targets, spread targets, cross sell targets, the list goes on. The bank is a demanding task manager and they work for the bank. So that is a key distinction between a broker versus an employee. product for you. Maybe you don’t fit in with the standard bank product lineup, maybe you’re self-employed, a new immigrant, or a small businessperson. All of these people don’t really fit well with bank products and when they go the bank are not likely to fare well. The broker in most cases is a gatekeeper, and is under strict disclosure rules. If you want to know how much we make on your deal ask. Typically we make about 1% payable only if you deal with us. You can use our quote and take it to your banker, the one that quoted you a higher rate before we got involved, and they will match that rate, not beat it, match it. But what does that tell you? They weren’t up front with you at the beginning of the process (because they don’t work for your interests). So you tell me, why would you deal with a bank?